Join Dr Timothy Keller as he opens up the book of Romans, helping you to get to grips with its meaning and showing how it transforms our hearts and lives today. • LEAD: As notes to aid you in explaining, illustrating and applying Romans as you preach or lead a Bible study. 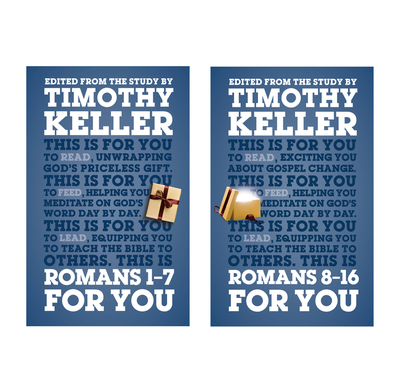 Romans for You is designed to work alongside The Gift of God and In View of God's Mercy, Timothy Keller's Bible study resources for small groups and individuals.